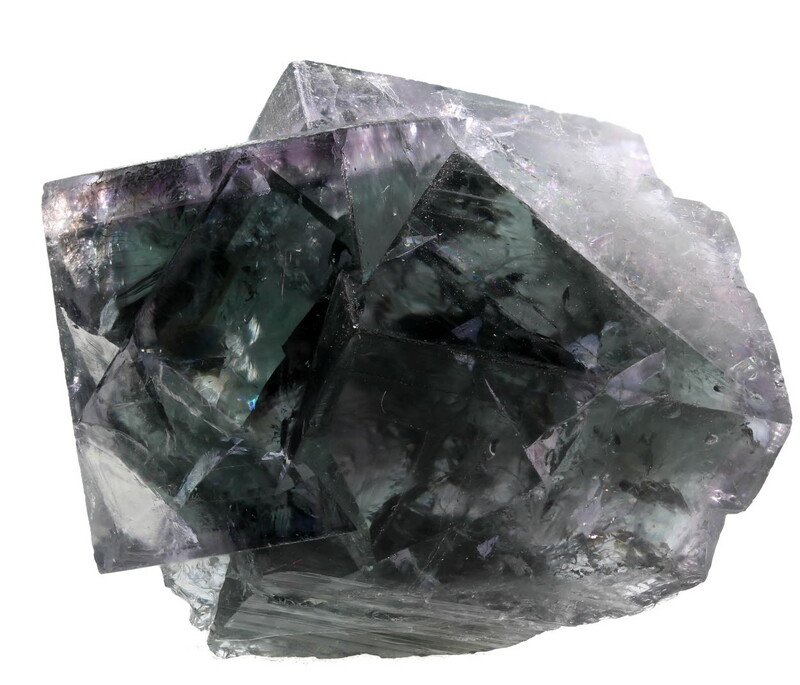 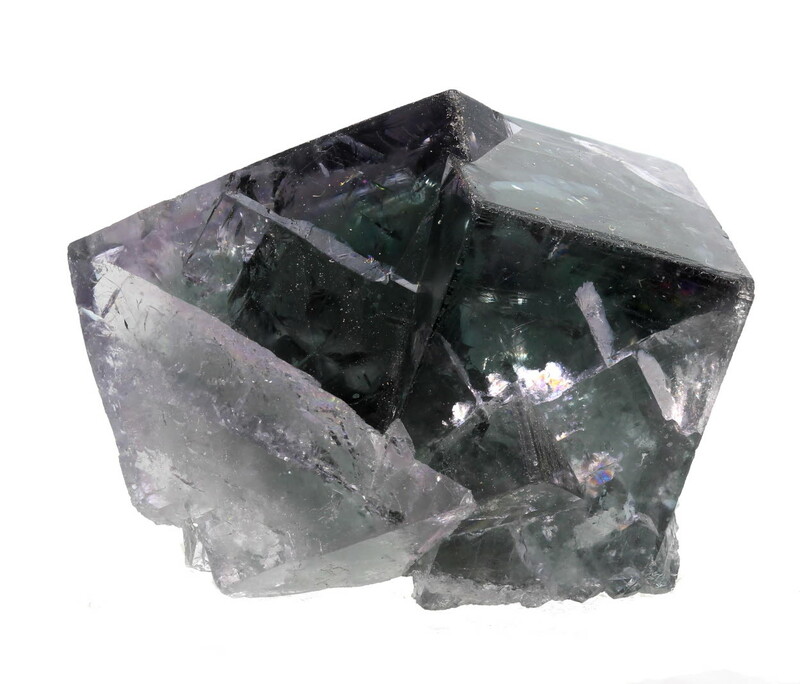 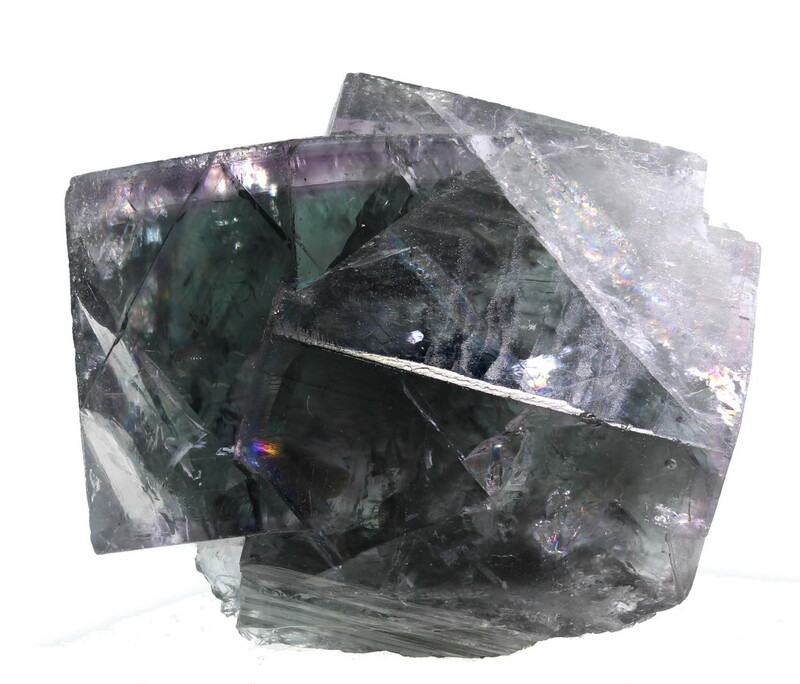 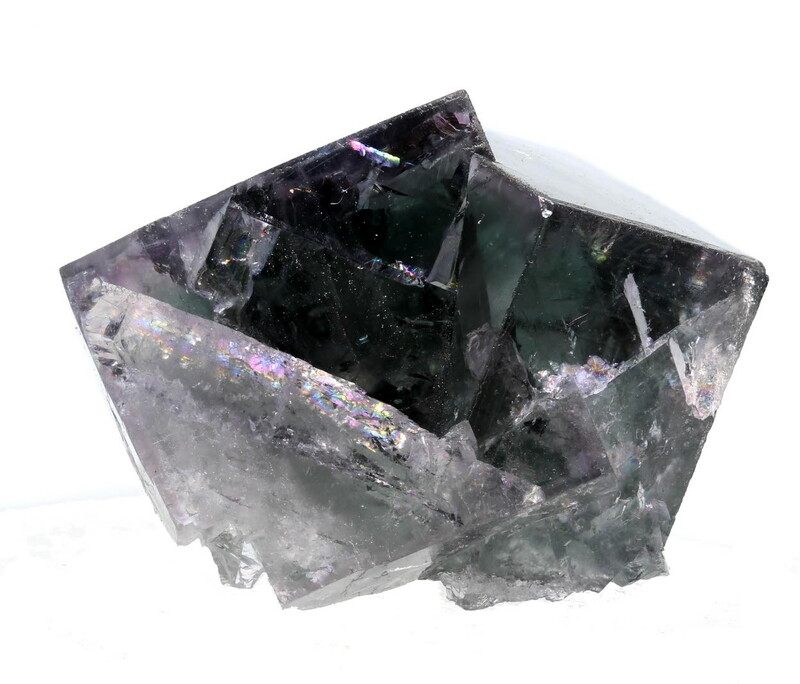 Glassy highly lustrous greenish gem twinned fluorite with quite a definite purple zone inset from the surface. 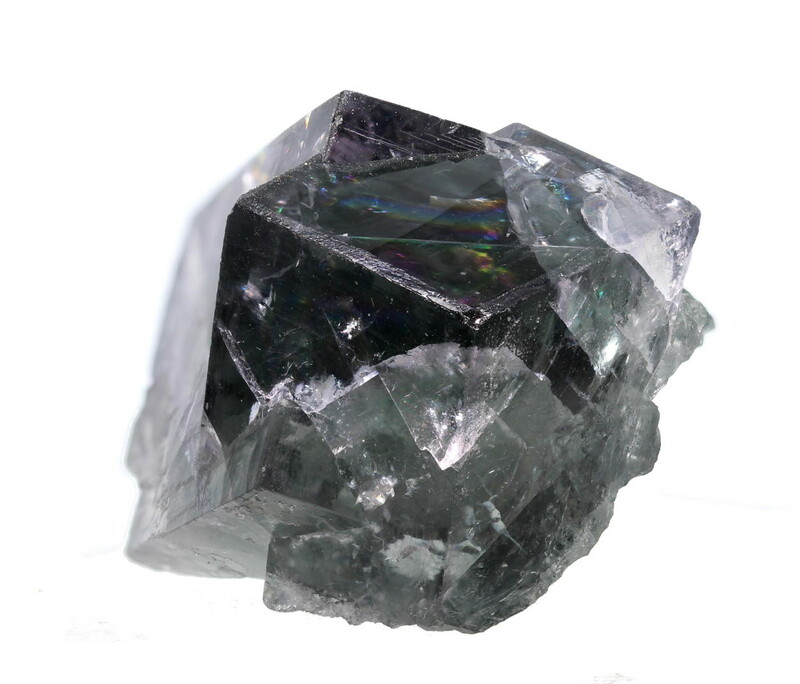 A few minor chips and internal cleavages - great locality specimen from one of the rarer sources of specimens in the area. 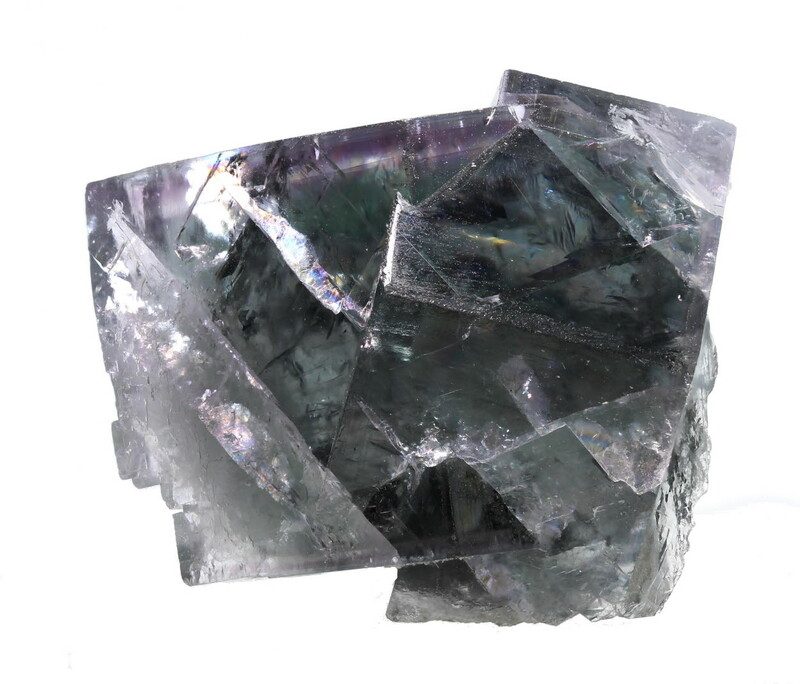 This piece came from the collection of Maurice Wall, former manager at the mine and was probably collected around 70 years ago.